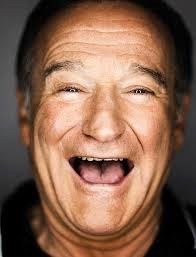 The irony of a comic genius dying of depression and the fact that he was such a loved face all around the world has driven home the horrible reality of depression. As a yoga teacher, depression is one of the biggest "ailments" I have consistently seen cropping up. Other ailments -- generally of physiological nature -- are usually almost always reversed or controlled with yoga. But depression has a tenacity all its own. Also, most depressives, including those on pills, do not see it as a physiological condition and believe that something is seriously wrong with them, as individuals, that it won't go away. So often, you will find depressives play footsie with the therapies that could heal them -- and will withdraw back and forth. In a manner of speaking, it is like addictive behavior -- the feeling overshadows everything, including their choices, and the feeling is wired to be self-destructive so it cunningly denies cures, even if often it almost could have been sorted. This is a tragedy of the problem and I fear medicine cannot do much here..
Not just my study of chakras,but my own propensity to emotional turmoil (which is why I am comfortable teaching yoga since I am not like those perfect, haloed teachers and because I offer from my own experience of pain, weaknesses and falls and tumbles:) it is the heart that is the culprit. According to Anodea Judith, whom I refer a lot to, on chakras, the fourth center /heart chakra in trouble is when grief overwhelms it. Interestingly I picked up Let your Brain Be your Doctor, by Luis S.R. Vyas (who I believe is a very neglected author and deserves more attention than is reserved for him) where he makes out a case for "heart coherence". He draws up scientific data to show how the heart (emotions) actually controls much of how the brain (nervous system) behaves, though conventional wisdom seems to imagine that the brain is in control. He shows how the heart functions can affect mechanisms all over the body. That the heart has its own method and that to be able to become aware of this could well be the first, baby step you take towards healing anything, including emotions. 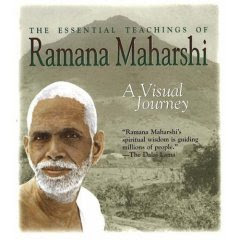 He has provided very simple steps by which you can change the way your heart behaves, at a physical level. For that you need to read his book. "We measure the heart's activity in rhythms. Research reveals that the rhythmic pattern of variability in your hear rate is related to your health, your emotional state and your thinking. Not only that, but your heart's rhythms act as a powerful force to bring the rest of your body, including you brain, into a similar rhythm. If the pattern of your heart rate variability is one cycle very ten seconds, then it pulls the brain in to a state of synchrony - that is your brain harmonizes with your heart and both operate at higher levels of efficiency and effectiveness. Getting your heart rare variability to one cycle per 10 seconds is the trick and anyone can do it." Tomorrow, I am going to draw more into this topic of depression from the yogic perspective. Its a subject very close to my heart.